I evaluate their contribution to the development of scientific, creative, and philosophical thought at the highest index – 200 HIC (higher intelligence consciousness). HIC – unit of higher intelligence consciousness. If your HIC ("H-I-C" the highest expression of consciousness, higher intelligence consciousness) is less than 100, then please do not purchase this book, it is unlikely that you will enjoy reading it. The book does not address issues of love and hate, and no criminal history and detective. March 8 is the Day of honoring women. 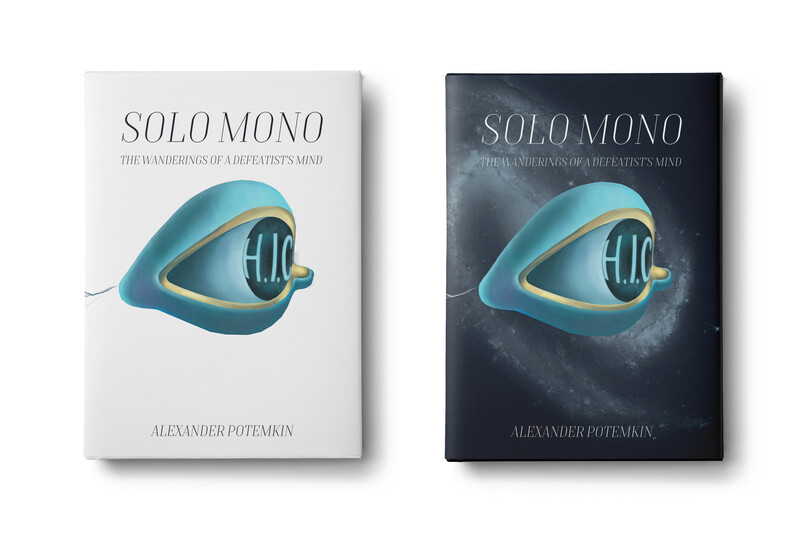 Alexander Potemkin has decided to congratulate women and to delight them with the release of his new novel "Solo Mono. The Wanderings of the Consciousness of a Pessimist". The novel consist of 260 pages, 220 of which are written as continuous text without any paragraph demarcation. Russian edition of the novel will be launched on 8 March and the English one will be launched on June 1.